Features 28.5 mm case, three-hand movement, 50 M water resistant. Gold-Toned Stainless steel case and bracelet. White dial with gold hr. markers. Push button release clasp and a date window. Seiko box. 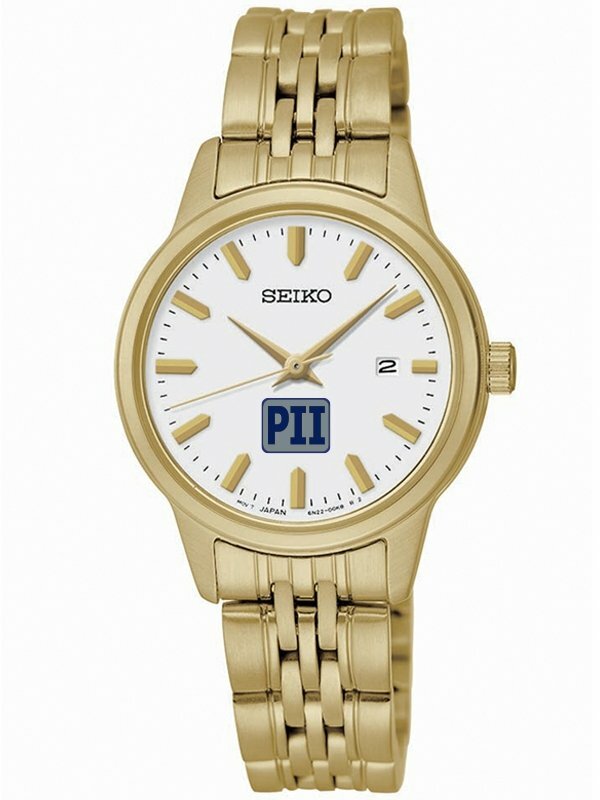 Give the gift of a Seiko when the time & occasion really matters. Delivery from date of a custom logo watches order is 4 weeks.